Ringing true for a summer intensive at a topnotch dance camp, Lynn Swanson puts 13-year-old Sara through the paces of hard work and total discipline required of every aspiring ballerina, and layers on the additional angst of having to prove she's worthy to earn a scholarship to return next year in her novel Summer Dance. It takes awhile for Sara to adjust her focus from her mantra "I have to win" to working as part of a team — an essential quality along with impeccable technique, wide ranging intelligence and spirituality/sense of soul and beauty the camp fosters. While aimed at young adult readers, anyone connected with or interested in ballet will find this a worthy way to experience its daily challenges and gains. The book's timelessness is part of the heritage of ballet- fashions change, technology pushes us into new dimensions, and yet the lure of ballet lives on because it is part of a heritage from which our aspirations rise up to carry us into a world where striving to be our very best is affirmed and embraced. Sara experiences new forms of dance — tap and modern — and different relationships at the all-girls dance camp and through visits to the all-boys camp across the lake to grow into the kind of person and professional she dreams of being. Coming from a small town with limited exposure to professional companies, the opportunity to work with San Francisco Ballet dancers opens new vistas for Sara. A boon for this fictional setting is the refreshing real-dance camp ban on cell phones, smartphones, computers, etc. In place of those devices you'll find people actually talking with each other and sending and receiving snail mail. 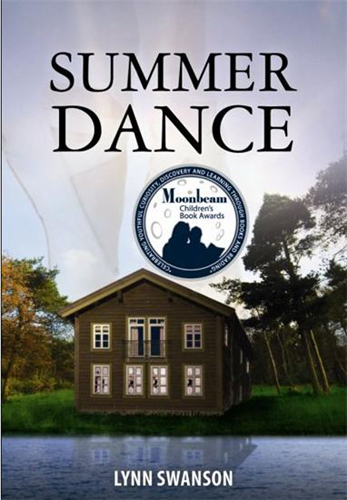 A glossary of dance and theatre terms is a nice addition to this 2012 Moonbeam Contest silver medal-winning novel.